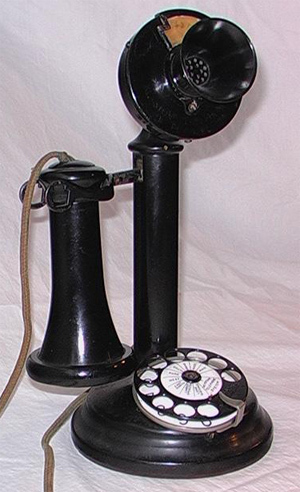 Made by: Keystone Telephone Co.
Keystone dial deskstand with cast iron Keystone subscriber set. 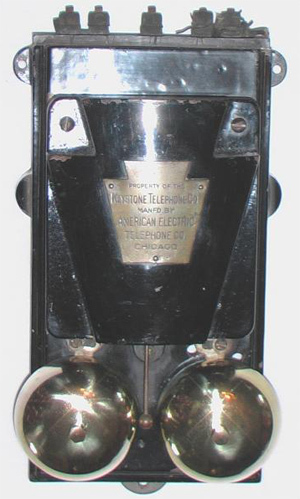 From Roger Conklin: "Philadelphia was the last large city in the U.S. where there were still two competing telephone companies; Pennsylvania Bell and Keystone Telephone Co. Keystone offered all-automatic dial service and was eventually purchased by Bell Telephone Company of Pennsylvania in 1945, just shortly after the conclusion of WW II. The names printed radially on the number card are the names of the exchanges in Philadelphia. 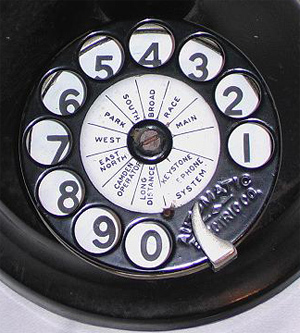 You would dial the digit corresponding to the exchange name, followed by the number."